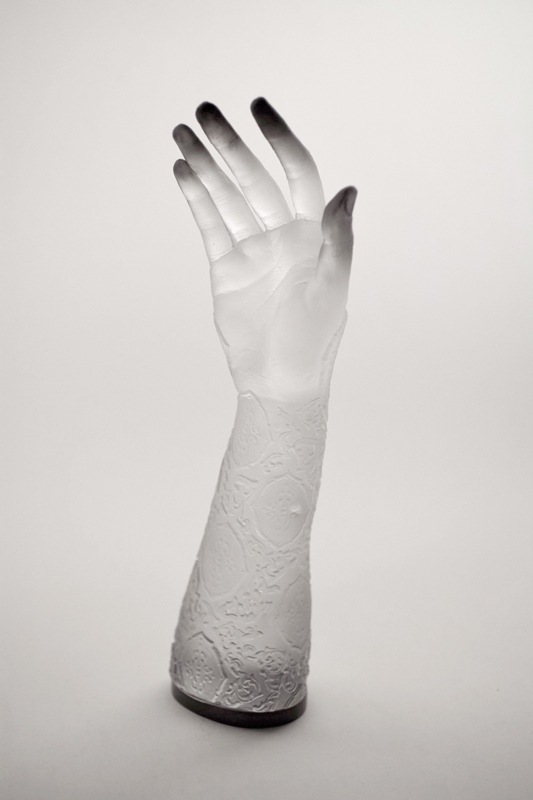 "Between Here and There" is a lifecasting of my arm combined with the patterning taken from a daguerrotype case. 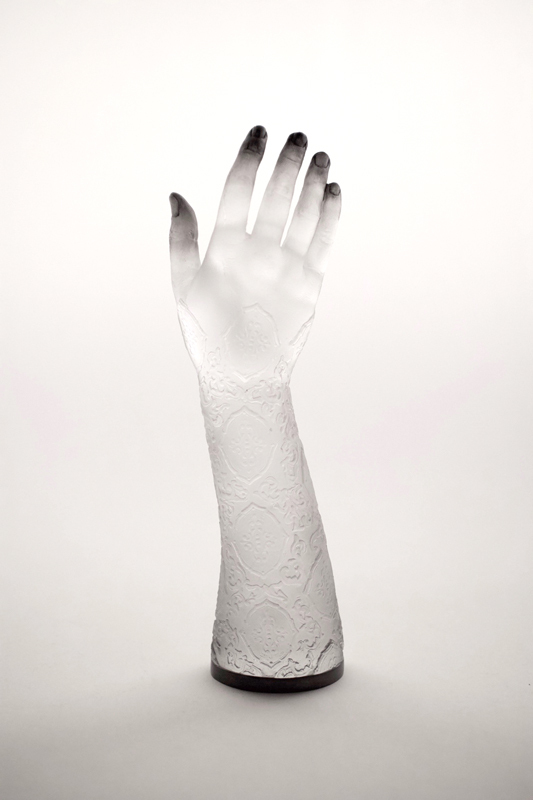 The patterning resembles tattoo, but with a Victorian, memento-mori influence. 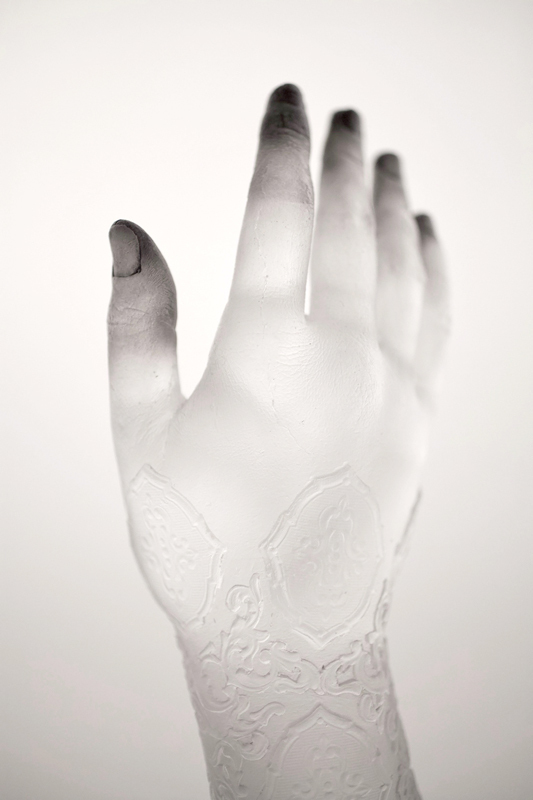 The casting is made of clear crystal glass, with mixed-media applied afterward to darken the fingers.